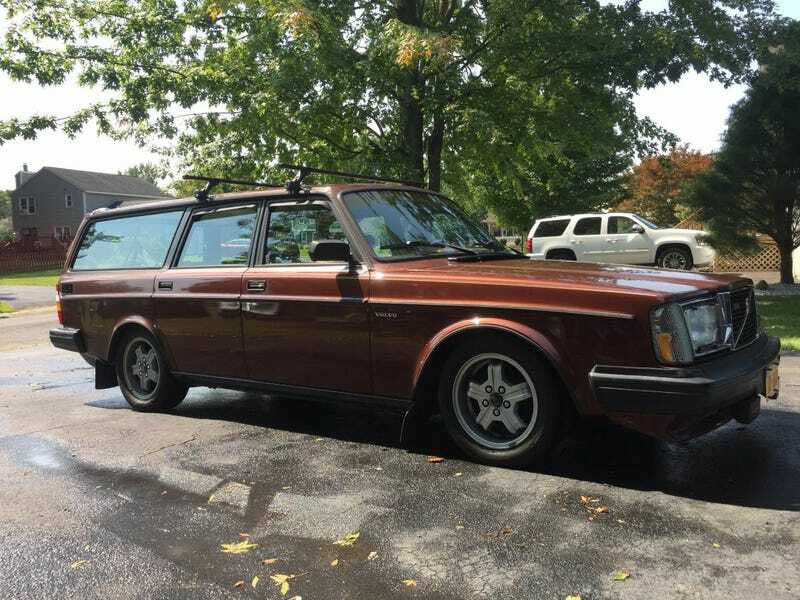 For $4,500, Will This Jalop’s 1984 Volvo 245 GL Turbo Pass Muster? The seller of today’s Nice Price or Crack Pipe Volvo was kind enough to forward to me his ad. He was even more kind to offer his Volvo wagon in our favorite color, poo brown! Let’s see if his pricing acumen makes him a triple threat. The ownership of any Italian car here in the U.S. is going to prove a crapshoot. The question is, just how much enjoyment will you get out of it in return for your subservience to its mercurial temperament. When it comes to something like a Fiat 500L I can tell you that’s not a hell of a lot. Yesterday’s 1995 Alfa Romeo 164 however would probably prove not just a cruel mistress, but one who’s willing to abet in any road-going tomfoolery you might have in mind. That, a mostly proper bit of kit, and a seemingly pampered life, led 61 percent of you to anoint that Alfa’s $4,995 price tag with a Nice Price win. Hopefully a new owner will be able to enjoy it for a while before the siren call of the service bay becomes too strong for it to overcome. Look, I don’t care what Animal House’s Dean Wormer said, drunk fat and stupid is a perfectly acceptable way to go through life. But you know what’s even a better way? That’s right, brown, manual, and wagon. Here we have a 1984 Volvo 245 that’s going through life in just such a fashion. That means glorious root beer metallic paint, a turbocharged and intercooled B21, which is backed by a funky but functional four speed with OD. This was sent to me by rdub315 and it pushes all the right buttons. Enough in fact that you’d have to question why anyone would ever let it go. The car comes in reasonbly stock shape, although it does rock the big dead-eye E-codes up front, a slightly lowered ride height by way of some cut-down springs all around, and a set of Virgos which looks pretty sweet here. Behind all that is a bunch of refreshed parts and long-term maintenance that has been recently completed. That includes a timing belt for the pressurized four, a new wiper motor, various finicky bits, and a conversion to R134 for the AC. Coooool. The ad notes that the odometer kicked the bucket at 258,000, but that the car now sits closer to 270K. Remember this is a 200-series Volvo (Vall-voh) and those will last forever and a week. It might not get through all eternity without some scars to show for it, and this one has a few so far. Those include some de-lamination of the clear coat, weeping main seals, and cruise control that has given up the ghost. Perhaps the most likely issue to raise a single eyebrow in concern is the note that afternoon starts are sometimes a starter taxing affair. Not only does this Volvo seem a solid citizen and worthy of future endeavors at keeping it so, but it comes with a bunch of parts, including a set four tires and steel wheels. You also get your typical old Volvo magic toy box full of switches, trim bits, and miscellaneous mechanical parts to keep you up sorting and deciphering. All that, and the car too, comes at an asking of $4,500. No, it’s not had quite the mechanical stewardship as yesterday’s Alfa seemingly did, but it’s $495 cheaper so who are we to complain? Actually, that’s exactly what we’re here for, or at least to let the present owner know if the price is right for his Volvo wagon. What do you think, does this trifecta of awesome seem worth that $4,500 asking as it sits? Or, is this a 245 perfect in every way but its price? Syracuse, NY Craigslist, or go here if the ad disappears. H/T to rdub315 for the hookup! At $4,995, Could This 1995 Alfa Romeo 164 LS Be Your Tipo? For $10,000, This 1990 Volvo 740 Estate Could Have You Saying Snakes Alive!